At a dedication last week, the excitement of homeowner Etsehiwot was plain for everyone to see as she would smile and ask everyone in her new home to take a picture with her to celebrate the day. Every celebration holds something special, and this evening it was sharing Etsehiwot's moment of happiness as she was welcomed home for the first time, and all were ready to celebrate! 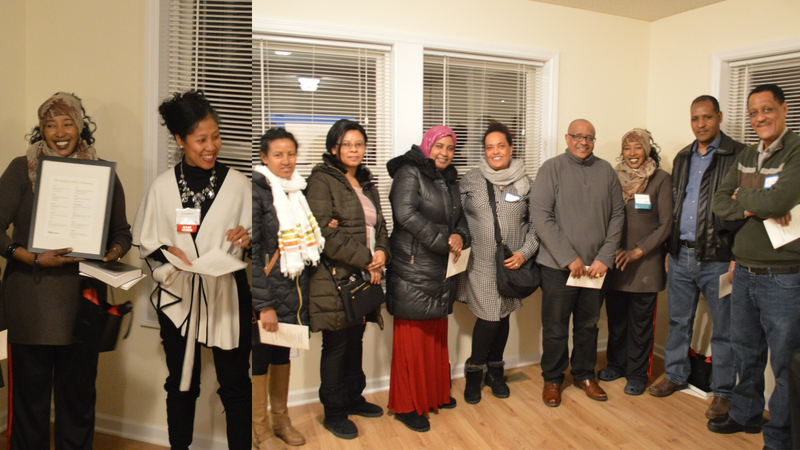 Etsehiwot's guests included representatives from the major sponsor Travelers, Habitat staff, and the City of St. Paul. The Habitat family is a bond woven together with commitment to our mission of bringing affordable homes to Minnesota. This family consists of staff, volunteers, sponsors, donors, and of course, the homeowners. Not only did we get to celebrate a wonderful homebuyer transition into homeownership, but we were also able to celebrate the landmark of this home being the 30th sponsored home by Travelers. 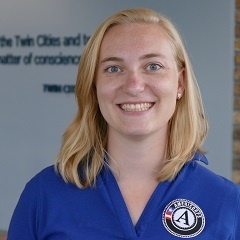 Dedications Committee member Karin O'Connor thanked Travelers and the volunteers, "we couldn't do what we do without you. It truly takes a village to bring a Habitat home into the community." 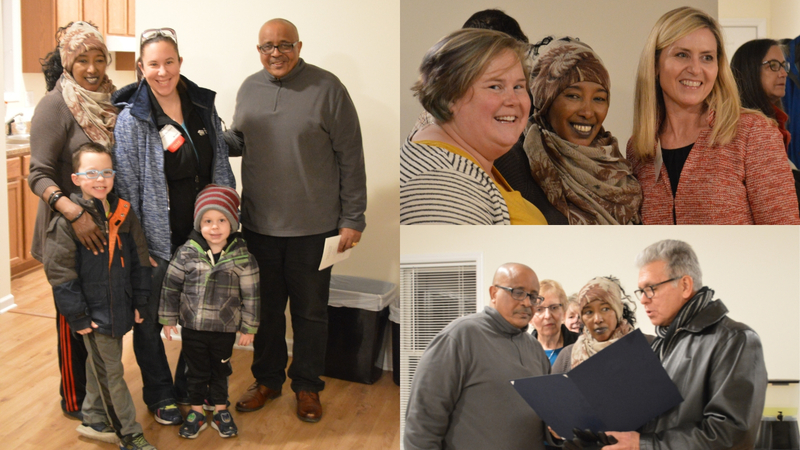 Another special moment was when Etsehiwot received a letter from St. Paul Mayor Melvin Carter congratulating her on her new home. Becoming a homeowner in the community means something, and members who are in stable, affordable homes have the ability to become pillars that keep the community strong. The evening was full of life and excitement as we celebrated another member of our community realizing their dream of homeownership and becoming part of the Habitat family as a new homeowner. We hope to see you at the next dedication!